KingSpry Managing Partner Kristine Roddick will be a featured speaker at the 2019 Spring Legal Roundup. The workshop will be held April 3, 2019 at LCTI in Schnecksville, PA. For more information, please visit the website. 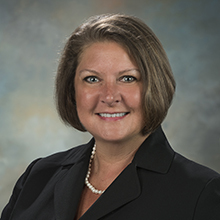 Ms. Roddick is a partner of the firm and chair of KingSpry’s Special Education Law Practice Group. She is a past President of the Pennsylvania School Board Solicitors Association (PSBSA). In 2015, Ms. Roddick was named a Women Of Influence by Lehigh Valley Business, and has been named a Rising Star by Pennsylvania Super Lawyer Magazine and a Lehigh Valley Select Lawyer by her peers as noted in Lehigh Valley Style. She earned her Juris Doctorate from Villanova University School of Law.